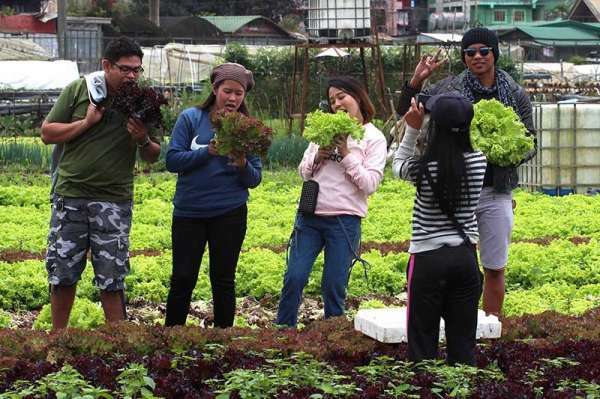 DEPARTMENT of Tourism Undersecretary Arthur Boncato said La Trinidad, the capital town of Benguet, could become a model in farm tourism. La Trinidad is known for its strawberry farms, where farmers have diversified their crops by also planting lettuce and other green leafy vegetables to attract more farmers. Boncato, who leads the Department for Tourism Regulation Coordination and Resource Generation, said several areas in the country are trying to replicate strawberry farming but nothing beats the taste of La Trinidad berries. He noted that the municipal government has always been receptive to intervention, improvement and cooperation. “We are very fortunate that we do not have to convince or even force the local government of La Trinidad to do such things because we already see things in place,” the DoT official added. Boncato likewise appealed to the Benguet State University (BSU) to maintain the berry farms in their area. “We are very fortunate that the BSU is the main source of our strawberries. Our appeal to the BSU is for you to sustain these beautiful strawberry farms. I know there should be some expansion plans somewhere but let’s think carefully on maintaining our strawberry farms and make it part of the growth of La Trinidad not only as a destination for business but also as a destination for tourists all over the country,” he added. BSU has said there are no plans to convert the remaining strawberry lands supporting a resolution filed at the Benguet Provincial Board to retain the area near the Benguet Agri-Pinoy Trading Center as strawberry fields and for agricultural purposes. Monday, March 18, was declared a special non-working holiday in the municipality as residents and visitors celebrated the 38th Strawberry Festival with a civic parade and a traditional “owik” (butchering of pigs for blessings) in the morning, followed by a cultural presentation in the afternoon. Boncato was invited as guest of honor and speaker with local officials and Governor Crescencio Pacalso and Representative Ronnie Cosalan. The DOT official noted that the government has been pushing for farm tourism since Tourism Secretary Bernadette Romulo-Puyat assumed office.